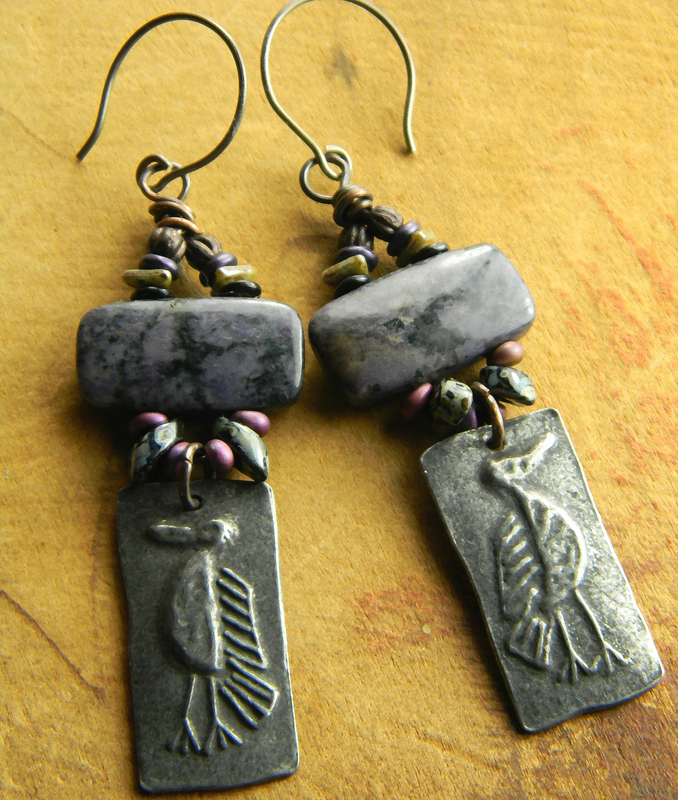 Incredible little bird charms face one another in my earring design with rectangles of purple dormurierite, and Czech glass. I use darkened copper wire to make a small hoop through the double drilled rectangular stones, and adorn them with Magatama and other Picasso patina Czech glass seed beads. 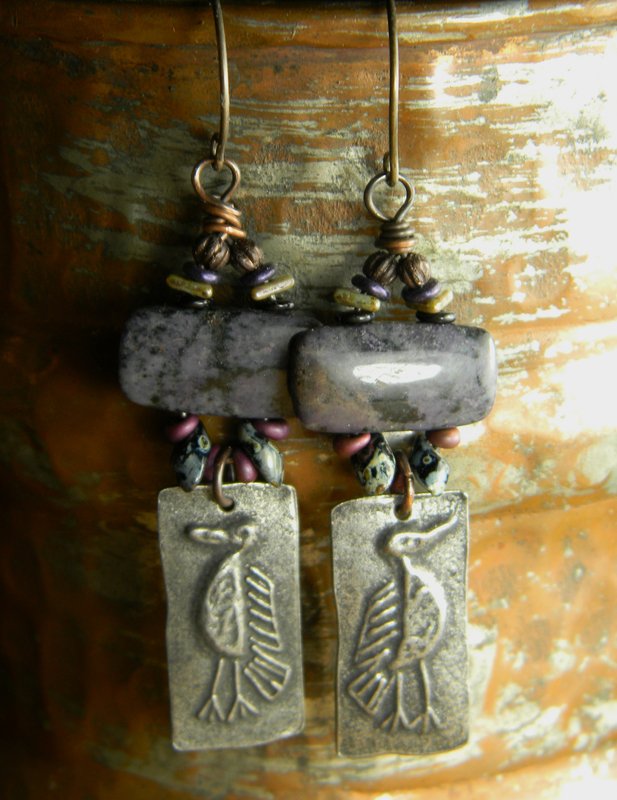 They surround the artisan bird charms of pewter, and add a subtle contrast with copper accents. Darkened copper ear wires finish the design for a total length of 3 inches, and their weight is moderate to heavy. 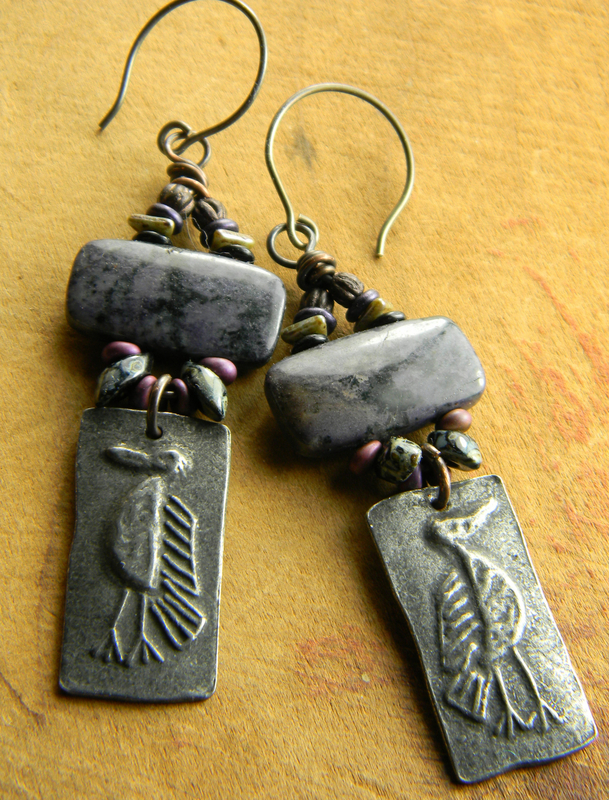 Matched set of pewter bird charms by my friends at Inviciti !!! Your package will arrive gift wrapped in environmetally friendly materials. All my jewelry is 100% workmanship guaranteed. Any problem with construction or component failure within one year (under normal wear conditions) will be corrected at no charge to you. No returns please, unless you have received a return merchandise authorization.